Lowdown: The behind the scenes on Lincoln's emancipation of slaves. There was a time when it was often said that Steven Spielberg is a director so good he could make a blockbuster out of the phone book. 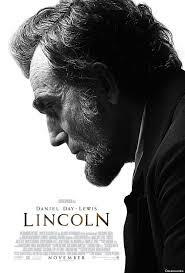 If you were to ask me, Lincoln is proof of Spielberg's ability to turn gold into phone book instead. Lincoln has us joining the fray that was the American Civil War shortly after then President Lincoln gave his famous speech. That is, towards the end of the war. With victory now almost assured, Lincoln turns his sights into passing revolutionary legislation that will forever free the slaves. Can he do it? I will confess at this point and make it clear I only watched half of this two and a half hour ordeal. Exactly at Lincoln's half point I found myself at a point where I couldn't take it anymore; I was bored shitless, looking for better things to do with my life than watch this lengthy soap opera like depiction of the manoeuvring required in order to pass political legislation. Perhaps Americans revering the glory of that particular moment in history will feel that special sense of reverence; I don't know, because I didn't. What I did find myself asking as I attempted watching this movie, and repeatedly asking as I was contemplating this half of a review, was the question of Spielberg's deteriorating output. Come on, this is the guy that brought us Indiana Jones, how come he's doing so badly? The only plausible answer I can come up with is that very same sense of reverence. My hypothesis is that Spielberg's demise came through his inability to tackle this holy cow without infringing on his own reverence. His only way out of this tight spot was to respect the subject of the movie too much. Way too much for the movie's own good. Overall: I know this is an acclaimed movie, but I don't care; as far as I am concerned, this is the most boring movie I have seen in a long while and only the second movie to be reviewed by this blog that I couldn't get myself to watch to conclusion. 0.5 out of 5 Mountain Dews.